While every home is unique, most are composed of standard measurements. This can make improving your garage easy by letting you replace a garage door with prefabricated choices. This also means that knowing the standard sizes and the industry names for them can make shopping for your new door much easier, though it is important to keep in mind that the industry names cover a range of sizes. Definitely measure the height and width of the door, write it down and keep it with you while browsing for new doors. There are three common sizes for single garage doors. The most common of these are 8 x 7 feet and 9 x 7 feet. Residential homes can also have garage doors that are 10 x 7 feet. These door size work fine for vans, small trucks, sports utility vehicles and normal-sized cars. ‘Double’ here refers to width. Most garage doors in residential settings are 7 feet tall, but double garage doors can be 12 feet wide, 14 feet wide and 16 feet wide. These are more common in newer homes, where people often have 2 cars. The most common sizes are 12 x 7 feet and 16 x 7 feet. For households with recreational vehicles, the garage door needs to be larger all around and the ceiling needs to be higher still. Standard RV garage doors are 16 x 8 feet, with a ceiling height of 9 feet. People will also find RV garage doors as tall as 15 feet. This allows people to put antennas and other items on the roof of RV’s without fear of the accessories getting knocked off when they park the vehicle. Business owners have special needs when it comes to garage doors because they have to accommodate commercial trucks. 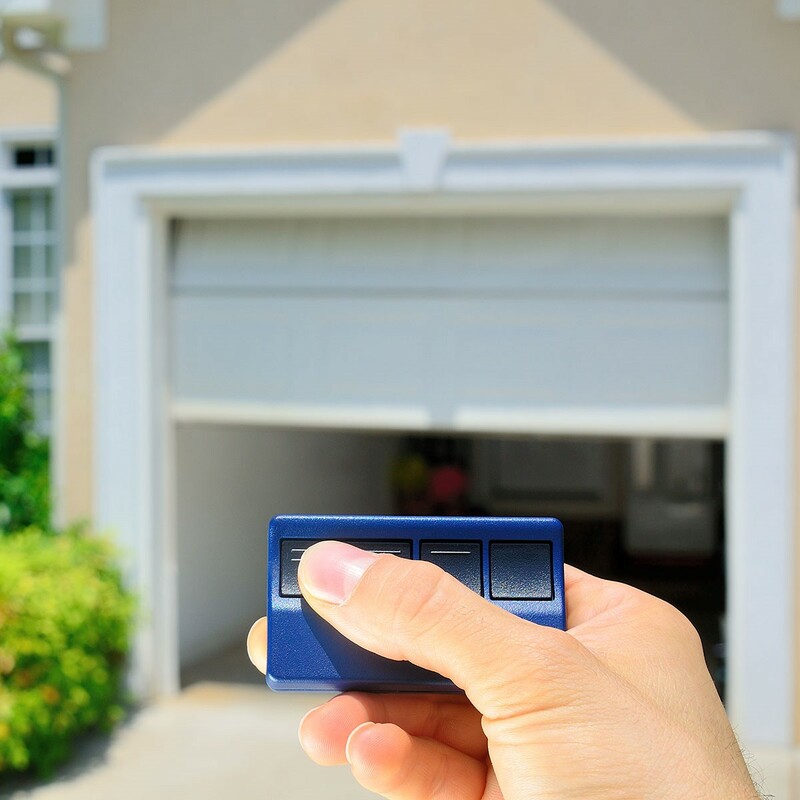 Many commercial establishments have garage doors that are 32 feet and 2 inches wide and 24 feet and 1 inch tall. However, these establishments are also more likely to have customized door sizes to fit the needs of vendors and the businesses own fleet. Roll up garages have been popular for a long time: people installed them to accommodate horses and carriages. The earliest ones were pretty big. Really old garages might have doors that are 30 x 20 feet. These days the standard size for a roll up garage is 9 x 7 feet. The only additional concern when it comes to roll up garage doors is the track for the roll. Measure the space between the ceiling and the top of the door to make sure there is enough room for the track. The standard headroom requirement is 14 inches, but there are tracks that come in shorter sizes. Just as standard commercial doors are bigger than the residential options, commercial roll up doors are bigger than standard roll up garage doors. They generally come as 30 x 28 feet. Knowing whether you should look for a single, double, RV or commercial door size can help speed up the search for a new door, but it doesn’t replace measuring the dimensions of your garage. Keep both in mind when looking for a garage door.